Peer Assisted Study Sessions (PASS) is a free and voluntary student centred learning program offered face to face or online. 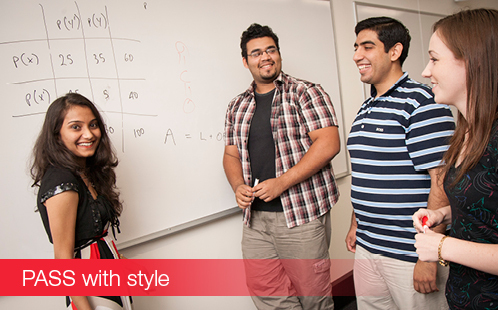 In PASS you will meet and work collaboratively with other students from your unit to understand the unit content and develop study strategies to help improve your academic performance. Through actively working together with other students, you will find that you are more engaged and develop a deeper understanding of the unit content. PASS and PASSOnline sessions are facilitated by a senior student who has successfully completed the unit and who has been trained in collaborative learning techniques. 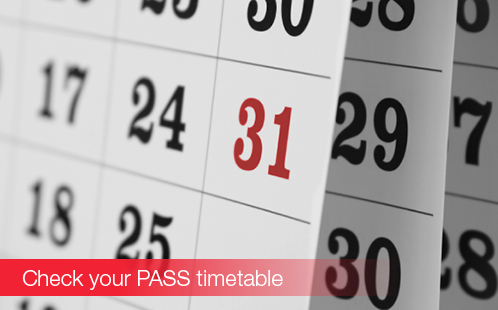 PASS is for everyone; for those students wanting to gain a high distinction - to those aiming to pass the unit, for those students who prefer face to face study sessions - or those who find online learning better suits their learning needs. PASS is based on an internationally recognised program called Supplemental Instruction, created by Dr Deanna Martin at the University of Missouri, Kansas City USA in 1973. Since then, faculty and staff from over 2000 institutions across the world have been trained to implement this type of program.